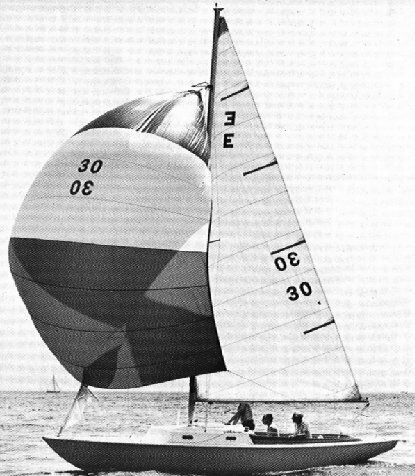 Spinnaker area: 340 sq. ft. Thanks to Endeavor owner, Kevin Walsh, (and W. D. Schock) for providing photo. Drawing and other info. from original brochure.